With Manchester’s own MisogynyIsHate movement sparking widespread discussion from all sides, assessing the impact of the now two-year-old policy in Nottinghamshire, where it was first implemented, is key to understanding how it could affect Manchester. Martha Jephcott, national Misogyny Is Hate Crime trainer and campaigner, said: “The camapaign started in Nottingham after me and some friends had some horrific experiences of assault and harassment. We originally assumed it would be a campaign made of students but we quickly realised that women of all backgrounds experience this. “Mum’s on the school run, Muslim women, black women, school girls etc. All of us experience misogyny hate crime but the abuse can get worse depending on our identity. That’s why it’s so important these campaigns continue to come from the communities themselves”. Despite public support and positive feedback from women who had reported incidents, officers from the Nottinghamshire police have voiced concerns over the policy as only one arrest has been made in the over two-year period since the policy’s introduction. Officers have described it as “a vanity project” and “a waste of resources without being backed by a mandate from the public”. While the figures from the 2016 survey, which was commissioned by Nottingham Women’s Centre and funded by the Office for Nottinghamshire Police and Crime Commissioner, shows the public are behind the change, Police remain unaffected and have also described their training on the policy changes as “poor”. 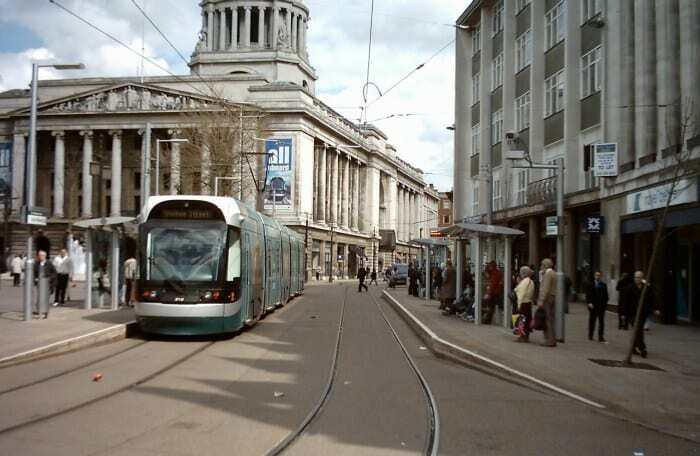 Both the Chief Executive of the Nottingham Women’s Centre, Helen Voce, and a spokeswoman for the Nottinghamshire police have since clarified that the primary aim of the policy was not to see masses of convictions, but encourage more women to come forward and speak about potential incidents of harassment. Of 174 cases reported between April 2016 and March 2018, 73 were recorded as crimes and 101 as incidents. In either case, police can open an investigation. In some cases, action can then be taken such as meetings with building site managers after builders have been reported as harassing local women. Prof Louise Mullany, of the University of Nottingham’s School of English claims “the public are supportive of the policy that was implemented two years ago”. She describes it as a “postivive change” and believes that the progression of this policy can help reduce the “shocking” regularity of these incidents. Two years on from the policy, Mullany adds that there are “easily addressed” issues with the policy, noting that they had been delivered to police. She, as well as a number of people from within the police force, remains confident that the policy can bring about a real shift in the attitudes of people across Nottinghamshire.